Whenever you visit a new city, one of the things you want to do is walk around and discover every corner possible with the time you have there. Madrid is a great place to do this, since it has plenty of places to visit and a lot of streets that are constantly filled with people and full of life. 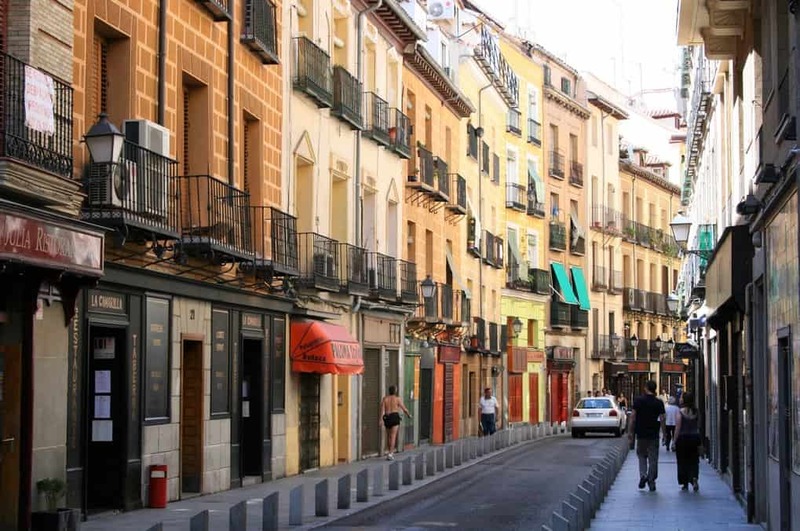 If you want to know which of these streets are a must when in the city, check this list of the most popular streets of Madrid. This is the street of Madrid par excellence, and it is in the heart of the city. You’ve probably already seen many photos of this part of Madrid, also known as the city’s Broadway due to the number of theatres there. This street connects the Salamanca district with the Argüelles neighbourhood. 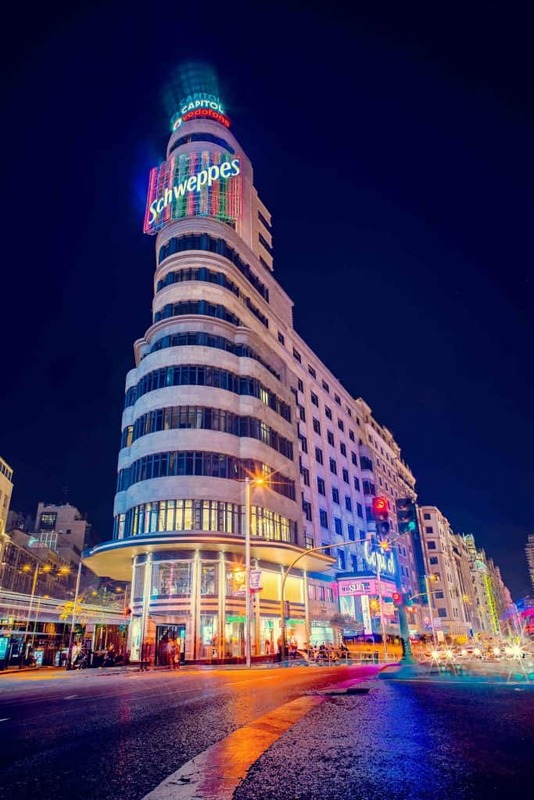 When in Gran Vía, you can eat, drink, shop, go to the cinema or go watch a show to any of the venues in the area. And of course, you can also admire the beautiful architecture while you walk up and down this big street. If you have to go from Atocha to Plaza de Colón, this is the way to go. First, you will walk up Paseo del Prado, one of the older boulevards in Madrid, until you reach Plaza de Cibeles. It also is one of the most popular streets in the city since it was declared Asset of Cultural Interest. It’s in this same street that you will be able to find many cultural tourist attractions, such as the Prado Museum, the Thussen Bornemisza Museum and the Reina Sofía Museum, as well as many spectacular fountains and the Botanical Garden, to name a few. After Plaza Cibeles, this boulevard becomes Paseo de Recoletos until Plaza de Colón. You will enjoy 500m of beautiful ninenteenth century palaces, great restaurants, museums (such as the Wax Museum), gardens and sculptures. It’s the perfect choice for a quiet afternoon walk. In the old town of Madrid you will find Calle Segovia. This street has been a very important part of the history of the city thorughout the years, since it used to be the main entrance to the old town, and you can see this reflected on the architecture of this area. It goes from Puerta Cerrada to Puente de Segovia (the bridge of Segovia) and you will be able to also see the famous viaduct. A lot (honestly, a lot) of bars on the same street. We could just leave it here, but there’s more to say about Cava Baja. You will find it in the Latina district, in the old town. It used to be a commercial area and this is the reason behind all those bars (initially inns). Nowadays, this street is always full of life and it’s definitely the place to be if you want to have some drinks in the city centre. Oh! And you will find the popular restaurant Casa Lucio here as well. Calle Zurbano is located in one of the most desired areas of Madrid, Chamberí, and this street was considered by The New York Times as one of the best ones in Europe. It goes from Plaza san Juan de la Cruz to Calle de Almagro and it houses residential mansions from the late nineteenth century as well as traditional neighborhood shops and innovative restaurants. This is our Top 5 of streets of Madrid, but we are sure you will see and love many others during your stay. A great option is to book your accommodation in the city centre so you can actually walk almost everywhere to discover every corner. Our Feelathome Apartments in Madrid, very close to Plaza de España, will give the oportunity of doing this, so you will get to know the city like a local.